Welcome to the 2017 MCAA Industry Forum! 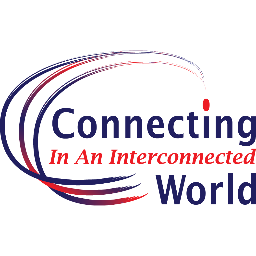 This year's theme is "Connecting in an Interconnected World." We hope you will make connections here in Atlanta that last well beyond just this event. Enjoy the presentations, network with your peers, and have a great time. If there is anything we can do to assist you, please notify an MCAA staff member. Thank you. Bio: Currently a Senior Analyst at ITR Economics, Alex Chausovsky is a highly experienced market researcher and analyst with significant expertise in subjects that include macroeconomics, machinery production, electric motors and controls, mechanical and fluid power products and industrial energy efficiency. He is currently responsible for providing reliable industry and company forecasts, presentations and economic consulting services to small businesses, trade associations, and Fortune 500 companies across a spectrum of industries. Prior to joining ITR, he was with IHS where he served as Research Director and Senior Principal Analyst for 8 years. His research has been featured in major industry trade publications and magazines, including NPR and the Wall Street Journal. He is an experienced presenter and speaker, having given many keynote presentations at leading industry conferences. He holds a BBA in International Business from the University of Texas at Austin and an MBA from Texas State University and is a fluent Russian speaker. 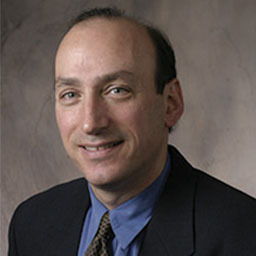 Bio: Robert (Bob) L. Segal is a Principal with Frank Lynn & Associates, Inc. and leads the firm's Technology and Automation Practice. During his 33-year tenure with the firm, he has worked with clients to evaluate growth opportunities, assess strategic trade-offs and design innovative channel strategies. A central theme of his work is the development and implementation of channel strategies based on added-value and differentiation. He is a widely published author and frequently quoted expert in channel strategy writing for industry publications and conducting work for corporate and industry association clients. His clients and those of the firm include ABB, GE, Honeywell, Keysight Technologies, Parker Hannifin, Schneider, and Rockwell. 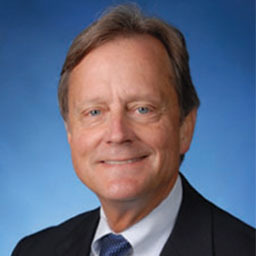 He teaches two workshops, “Strategic Issues in Distribution” and “Professional Sales Channel Development,” at client sites around the country and at Frank Lynn & Associates' office in Chicago. Before joining Frank Lynn & Associates, he was a sales rep and economist for Data Resources, Inc. He holds an MBA in Marketing and Finance from the Kellogg School of Management, Northwestern University and a Bachelor of Arts degree in Economics from Georgetown University. Bio: Brian Gardner is the founder and lead evangelist of SalesProcess360 LLC, a sales, coaching, consulting, and speaking company founded on industrial sales. Prior to starting SalesProcess360, he was a co-founder and President of Selltis LLC, an industrial focused sales team software solution (CRM). Brian has over twenty-five years of experience in technical and industrial sales in the process control and instrumentation field. Prior to starting Selltis in 1999, he was Vice-President of Sales and Marketing for a distribution/representative firm along the Gulf Coast. He has sat on numerous manufacturers' rep councils. Brian is a believer in sales process management and putting focus on the front end of the sales cycle. He coaches companies on putting in place processes and procedures to improve sales team effectiveness. Companies with which he has worked include Stork Technical Services, Det-tronics, Wika, Toshiba, and several regional rep/distribution firms. Bio: Don Hutson's careers in speaking, management and sales have brought him many honors. He successfully worked his way through the University of Memphis, graduating with a degree in Sales. After becoming the #1 salesperson in a national training organization, he established his own training firm and was soon in demand as a professional speaker. Don's client list includes over half of the Fortune 500, and he is featured in over 100 training films. He is CEO of U.S. Learning, pioneers in online training, and Chairman of Executive Books. He makes over 75 speaking appearances per year. He has been featured on national television shows on PBS, ABC, CBS and Fox News. Don has been recognized with many honors, including the National Speakers Association’s “Master of Influence” Award, a recognition he shares with such luminaries as Ken Blanchard, Jack Kemp, Zig Ziglar and Norman Vincent Peale. He was elected by his peers to the presidency of the NSA, and has received its coveted "Cavett Award," as member of the year, and most recently named “Philanthropist of the Year”. He has also been inducted into NSA's Speakers Hall of Fame. Don is the author or co-author of 14 books, including his latest, Selling Value, and his two Wall Street Journal and New York Times best sellers, The One Minute Entrepreneur and the One Minute Negotiator. 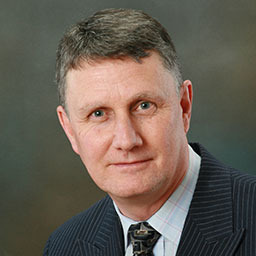 Bio: Tom Fiske is part of Yokogawa’s Global Strategic Technology Marketing Group. He is part of the team responsible for establishing the vision of Yokogawa’s Advanced Decision Support (ADS) solutions that help improve operators’ situational awareness and effectiveness and contributes to Yokogawa’s overall automation strategy. As part of his work on ADS, Dr. Fiske works with others to address the ‘aging workforce’ issue and onboarding the next generation. 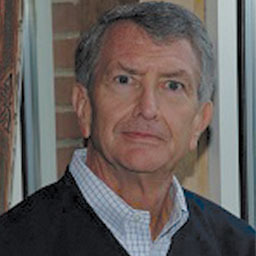 Dr. Fiske has over 30 years of broad experience in industry, government, and academia. He has hands-on research, product development, project management, and manufacturing experience in the process industries. Throughout his career, Dr. Fiske has actively been involved in optimizing complex manufacturing and production processes. Dr. Fiske has consulted with end-users in the process industries to address key issues concerning selection, adoption, implementation, and use of manufacturing, automation and control, and production and engineering technology. He has helped companies develop best practices in the areas of performance management, alarm management, and decision support systems to name a few. 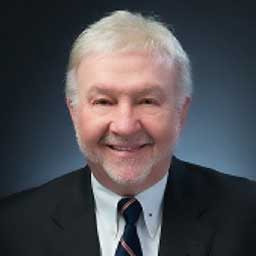 Prior to Yokogawa, Dr. Fiske spent more than a dozen years with ARC Advisory Group as an internationally recognized analyst in the area of simulation, APC, optimization, advanced analytics, energy management, MES, knowledge management, and operator situation awareness. 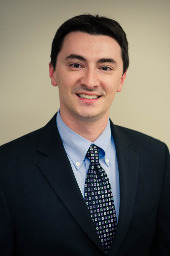 Dr. Fiske is a graduate of Stevens Institute of Technology with a Ph.D. in Chemical Engineering. He also holds a Master of Science in the Management of Technology from the Sloan School at Massachusetts Institute of Technology. Vice President of Marketing, Endress+Hauser, Inc.
Bio: Kirk King is the Vice President of Marketing with Endress+Hauser, USA. In this role, Kirk leads a team responsible for all aspects of industry management, product management and marketing communications. He has more than 35 years of US and International instrumentation experience in the area of process automation. He holds a BS in Marketing and an MBA from Baker University. Before joining Endress+Hauser in 2001, King worked for 19 years for a diverse range of organizations, including a small distribution company, publicly traded companies and privately held companies. In these roles, King was responsible for product management, sales, sales management and international account management and was an international sales manager. Vice President of Marketing, SOR, Inc.
Bio: Michelle Bunte is the Vice President of Marketing at SOR Controls Group, a manufacturer of measurement and control devices under the brands of SOR Inc., Smart Sensors Incorporated (SSi), SETEX Products and SENSOR Sampling Systems and Data Monitoring Systems. She led a refresh of the SOR Inc. brand in 2012 with the redesign of a Search Engine Optimization (SEO) friendly corporate website and the introduction of social platforms including LinkedIn, Facebook, Google+, YouTube and Twitter. This increased web traffic 91 percent and web leads 1200 percent. She holds a Bachelor of Science from Kansas State University and a Master of Business from Mid-America Nazarene University. Michelle currently resides in Kansas City with her husband Scott and 14-year old triplet boys, Henry, Jack and Max. Her past time includes running and training for 5K races. Bio: Mike Gallagher serves as the President and CEO of Centro Inc. Centro is a specialty distributor and sales representative company focused on customers where flow control of fluids, solids and gases is critical to the success of the manufacturing process. Mike and his former partner David Forell acquired Centro on December 13, 2001. Mike holds a BS in Business Administration and an MBA in Marketing from Plymouth State University. He has held senior sales and distributor marketing positions at various levels of responsibility in large industrial companies including: Norton Abrasives (now Saint-Gobain Abrasives), Thomas & Betts (now ABB), Square D Company (now Schneider Electric) and Kennametal. In 2016 Mike was honored by the Memphis Business Journal as the Executive of the Year. During the period that Mike has lead Centro, the company has been recognized by the Memphis Business Journal as the Small Business of the Year, selected for the Pacesetter Award for exceptional growth from 2012 through 2015, as one of the Top 100 Privately Held Businesses in Memphis and as a finalist for the Best Places to Work award. Also in 2016 Centro was selected by the Memphis Commercial Appeal as one of the Best Places to Work in Memphis. Centro sells a range of products from commodities to highly engineered, extremely technically sophisticated products that are applied in a range of industries. The company is organized into 6 product focused divisions with each division headed by a Product Sales Manager. Centro has also received numerous sales awards from Flowserve-Pump Division, Ashcroft, Foxboro, Richards Industries, Flowserve-Seal Division, Flowserve-Valtek Division, SPX-Lightnin Division, Pentair Thermal and Draeger Inc.
Bio: Peter Martin, PhD, has worked in industrial automation for more than thirty years. He has experience in the industry segments of training, engineering, product planning, marketing and strategic planning. He currently serves as Vice President and Fellow for Schneider Electric | Invensys in Foxboro, Massachusetts. He holds BA and MS degrees in Mathematics and an MA in Administration and Management. He also holds a master's degree in Biblical Studies, as well doctoral degrees in Industrial Engineering and Biblical Studies. He has published numerous articles and technical papers. He is the author of two books, "Bottom Line Automation" and "Dynamic Performance Management: The Pathway to World Class Manufacturing." He is the co-author of two additional books, "Automation Made Easy" and "Real Time Control of the Industrial Enterprise." He was a contributor to "A Guide to the Automation Body of Knowledge" and "Metrics That Matter." Dr. Martin also holds numerous patents. These include patents for Dynamic Performance Measures, Real-Time Activity-Based Costing, Closed Loop Business Control, and Asset and Resource Modeling. He has been named one of the 50 Most Influential Innovators of All Time by InTech Magazine and a Hero of U.S. Manufacturing by Fortune magazine. He is a recipient of the Lifetime Achievement Award by the International Society of Automation (ISA). He was elected to the MCAA Board of Directors in 2014 and elected Vice-Chairman in November 2015. Bio: Phil Hunt has served as President of Adaptive Wireless Solutions since 2012. In this capacity, he is responsible for both the operational and technical directions of the company. In March 2017, Adaptive launched a remarkable new product line called IAN, which disrupts many traditional approaches to wireless instrumentation. A native of the United Kingdom, Philip began his American career in the 1980’s at Gould Modicon. 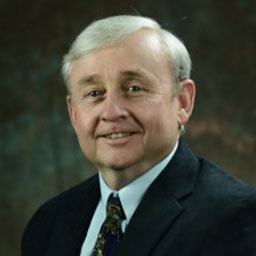 Over the course of his professional career, he has had many roles and developed numerous kinds of electronic equipment and software products; including vision systems, chips, and powerline communications standards. Cisco Systems acquired one of his companies in the late 90’s. He then led several technical evaluations in mergers and acquisitions for Cisco before spinning off the company Amperion, where he assumed his first CEO position. In 2006 he semi-retired as a consultant, but returned to the process controls world in 2011 with Adaptive. He has served as Vice President of the International Powerline Communications Forum, is a member of the Institute of Electrical and Electronics Engineers, and a member of the Association for Computing Machinery. He holds a BSc with highest honors from the University of Manchester. Phil counts himself as fortunate to have worked with the best and brightest from all over the world for over 40 years. 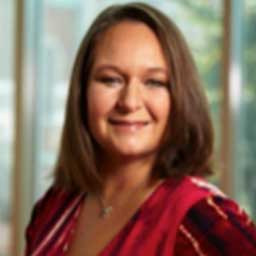 Bio: Sharon Smith is Global Social Media Director for Schneider Electric’s Industry Business. In this role, she is responsible for developing and managing the execution of strategic social media initiatives, including integrating social media into existing Schneider Electric business processes and overall marketing communications strategy. She has more than 20 years of experience in Industrial Automation, starting her career in the Systems Group responsible for Purchasing and Systems Engineering support. She later joined the International Sales Department responsible for marketing and sales support in Asia and South America. Smith later joined the Global Regional Development Team and was responsible for supporting Canada and Mexico as well as multiple roles within product marketing. She also successfully led the project to develop and launch a new website called the "Virtual Campus," which went on to win the Connect Trophy Global Award. Smith holds an MBA with a Certificate in International Business. 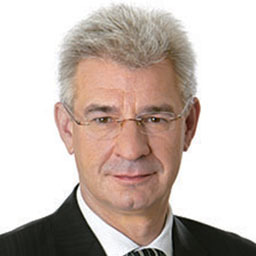 Bio: Stephan Neuburger is currently Chief Executive of KROHNE Group. He joined the company in 1985 and has more than 30 years experience in the fields of industrial measuring devices and process automation. In 1988, he was promoted to Area Sales Manager after heading up the International Service and Maintenance Department. In 1991, he was names head of the Export Department. He was promoted to Managing Director in 1999. His responsibilities include worldwide sales and marketing as well as development of new technologies. He holds a degree from the University of Mainz in journalism and history. He is a graduate of the school of Executive Personnel Development from the Center of Trade in Industry in Niederrhein, Germany. He is also a graduate of the Comprehensive Management System at the Institute for the Economy, St. Gallen, Switzerland He is on the board of directors for the German Electrical and Electronic Manufacturers Association. Bio: Steve Pflantz, P.E. has over 30 years of experience in industrial automation including 17 years in the Pharmaceutical and Biotechnology industries. His professional work experience has covered a wide range of industries including: grain milling, bulk & specialty chemical, pulp & paper, amusement park and entertainment venues, food & beverage, consumer health products, and life science industry manufacturing. As an Associate at CRB Consulting Engineers, Inc., he is the technical co-lead for the electrical and automation design disciplines for the company. He is an active Senior Member in the International Society of Automation (ISA), serving in numerous leadership positions at all levels in the organization over the past 30 years. His present position is Society President 2017. He also serves on several committees within the Automation Federation (AF); he has been an active participant in their workforce development initiatives and Advocacy programs. He is a graduate of the Missouri University of Science and Technology with a Bachelor of Science degree in Electrical Engineering, and is a member of the Academy of Electrical and Computer Engineering at Missouri University of Science and Technology. He is a licensed professional engineer in 14 states. 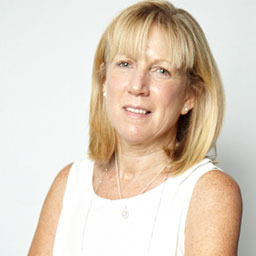 Bio: Tanya Donnelly is the Global Social Media Director for Schneider Electric. She is responsible for aligning Schneider Electric's social business strategy and presence with the Schneider Electric corporate strategy. Schneider Electric has invested heavily on shifting toward being a social business by integrating social into Schneider Electric’s business processes and enabling employees & partners to be brand advocates. Tanya leads this effort on a global scale in 100+ countries and 30+ languages. She is passionate about working across organizational silos to build a better organization to serve the customer. Schneider Electric is the global specialist in energy management and automation. With revenues of €26.6 billion in FY2016, our 185,000 employees serve customers in over 100 countries, helping them to manage their energy and process in ways that are safe, reliable, efficient and sustainable. From the simplest of switches to complex operational systems, our technology, software and services improve the way our customers manage and automate their operations. Our connected technologies will reshape industries, transform cities and enrich lives. At Schneider Electric, we call this Life Is On. Bio: Varun Nagaraj is the President and Chief Executive Officer of Sierra Monitor Corporation. He joined Sierra Monitor Corporation in July 2014, from Echelon Corporation (ELON) where he was senior vice president and general manager of the Industrial Internet of Things (IIoT) division. Previously, he served as President and Chief Executive Officer of NetContinuum, a leading provider of Web Application Firewalls, acquired by Barracuda Networks (CUDA) in 2007. 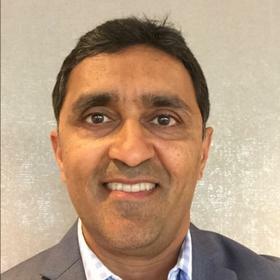 He was as Vice President of Product Development and Marketing for Extreme Networks (EXTR) during their transition from proprietary to merchant silicon, and Executive Vice President of Marketing and Customer Delivery for Ellacoya Networks. From 1995 to 2001, he worked in various positions including associate, manager, principal and partner for PRTM, a leading management consulting firm focused on product and operations strategy. He started his professional career in 1988 at Hewlett Packard as an engineer. He holds an Electrical Engineering degree from the Indian Institute of Technology, Bombay; a Master of Science degree from North Carolina State University; and a Master of Business Administration degree from Boston University. 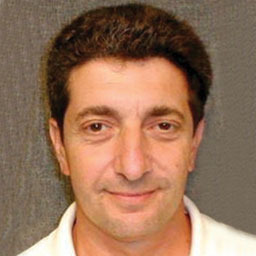 Bio: Vincent "Vinny" Micheroni is responsible for Product Development across Field Devices for Schneider Electric. He has over 35 years of experience in embedded development. During his 20 years with Schneider, he has held various engineering and management positions in both Systems and Field Devices business units. He also has 18 years of experience outside the company in numerous engineering and engineering management (Section, Director and VP level) positions for telephony companies and companies which specialized in department of defense contracts. He is based in Foxboro, Massachusetts and enjoys golf and tennis when the weather permits.